LittleBigPlanet 3 is Fully Backwards Compatible! Sackboy has always been an avid collector of goodies and costumes, so he’s super-happy for us to tell you today that all of your previously purchased DLC and all of your collected LittleBigPlanet and LittleBigPlanet 2 goodies will be carried forward into LittleBigPlanet 3! Your DLC Collection Carries On! You will be able to bring all of your LittleBigPlanet and LittleBigPlanet 2 Level Packs straight to LittleBigPlanet 3, along with your entire wardrobe of outfits for your Sackboy or Sackgirl! So if you have a whopping collection of goodies that you have purchased over the last six years, you can be rest assured that a simple re-download from LBP3’s in-game store will add your favorite content back into your Popit for use in LittleBigPlanet 3 at no additional cost. Import Your Profile into LittleBigPlanet 3! Not only is it good news for your DLC Collection because if you’re a long-time fan and have played either LittleBigPlanet or LittleBigPlanet 2 previously, you will be able to import all of the goodies that you have collected in those titles to use in LittleBigPlanet 3. That’s right! 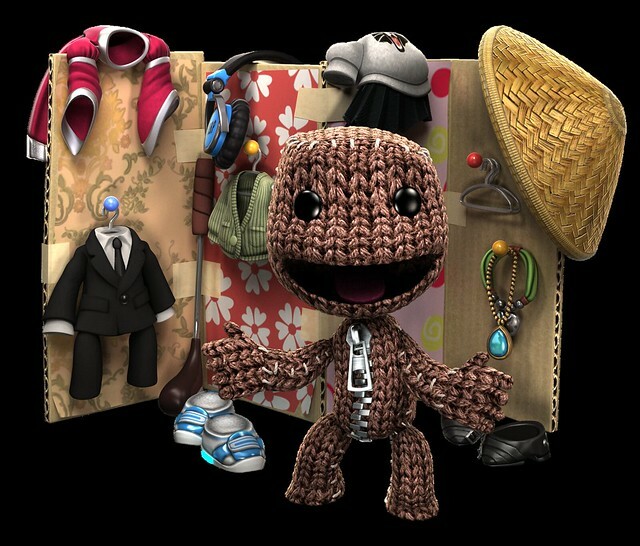 Every single Costume Piece, Material, Object, Music Track and any other creative goodies that you have collected in your previous adventures with Sackboy will be able to be imported into LittleBigPlanet 3! Your LittleBigPlanet Earth Will Join You, Too! Finally, if you have published any LittleBigPlanet or LittleBigPlanet 2 levels previously, you will be able to find them on your ever-familiar LittleBigPlanet Earth within LittleBigPlanet 3 so that you can pick up exactly where you left off with your published creations. Best of all, if you have any custom content that you want to transfer from your PS3 to LittleBigPlanet 3 on PS4, you can publish levels containing this content in Prize Bubbles so that your Sackboy or Sackgirl can visit these levels to pick your goodies up for your latest creations on PS4! One of our biggest goals with LittleBigPlanet 3 on both PS3 and PS4 was to ensure that all of your previous hard work and item collections would carry over into the latest instalment in the series, so we’re very happy to be able to bring this news to you today. If that was a lot to take in and you feel that you may need some additional guidance on how exactly to transfer your goodies to LittleBigPlanet 3, don’t worry — you will be able to find a full set of instructions in our FAQ section on LittleBigPlanet.com, closer to launch! Can’t wait for it to come out. Since I am planning to pre-order this for the PS3 this weekend, this is excellent news before making my final decision. Now, besides graphics and etc, is there anything that the PS3 is lacking from the PS4 version or will everything will be mostly similar to both versions? I’ve heard that the z axis is being increased from 3 layers to 16. Is this also happening for the PS3 version? Sorry for the off-topic questions. I would like to know these details before I enter the newest addition to the LBP universe. The two versions are mostly identical except that the PlayStation 4 version will benefit from high resolution graphics and textures, Touchpad functionality and the awesomeness that is PlayStation Share. All of the level packs? Hm, how would the Move Pack work on PS4? The LittleBigPlanet 2: Move Pack and the PlayStation Move are both compatible with LittleBigPlanet 3 on both PS3 and PS4. What about holiday costumes? Such as pumpkin mask and Santa Claus. Do we have to wait till next year to download the costumes? Or will they be on store to download anytime? If you have previously purchased any Seasonal or Rare content, you will be able to re-download it with the rest of your DLC collection for LittleBigPlanet 3. This includes free items too. This is awesome news. Yes, backwards compatibility is very important. Thanks MM for recognizing this and working hard to make it happen! Media Molecule are our very good friends and we have a lot to thank them for but a lot of thanks should also be going to the hard-working folks at Sumo Digital and Sony XDev for working tirelessly to make this happen! 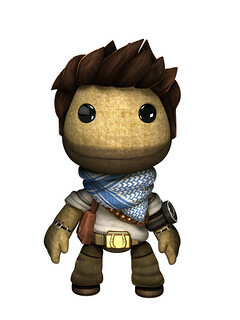 Any word on the release date for Run Sackboy Run for PS Vita and Android? Hey guys, I was about to get real real happy thinking this might be a ps4/ps3 crossbuy, like some other high profile games coming out, any idea if Sony is thinking about this for LBP3? Glad to get official confirmation :) I was keeping my fingers crossed for Vita content making it over too, it had such good stuff! But I’m assuming a lot of up-res work would have been needed to bring over those materials and costumes. I just want my tighty whiteys :O lol, well they were blue… Tighty bluies? Will you be able to cross platform play between ps4 and ps3 players? I want a Guardians of the Galaxy pack please. I had everything unlocked in LBP1 but i lost my savegame. Do i still have all the stuff from LBP1 in LBP3? Will there be a Timesaver Pack for all of the LBPgames stuff in LBP3? Actually yes, you will still have your stuff even without an LBP1 Save Profile! 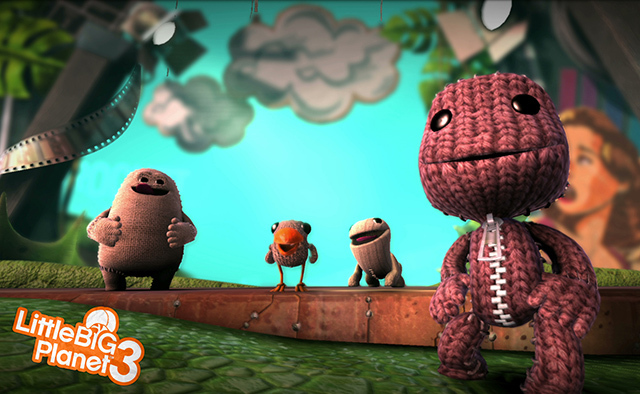 Provided that you use the same PSN account that you played the original LittleBigPlanet with, you will still be able to import your LBP1 goodies into LBP3! What about all the goodies we got in the GOTY edition of LittleBigPlanet 1? We were told we would get all those costumes on Vita LBP and that never happened… what is the hope for that and LBP3 on PS4? Also will Vita unlock transfer over to LBP3? Dang, I heard this about previous user created levels before being able to be played, but now I think I’ll buy LBP3 out of support for MediaMolecule and how awesome the ability to do this is. This pushed me over the edge to buy it. It is really a long term vision of the programmers and their skills when a company is able to make things like this happen and have it be so awesome. For those of us who never owned a PS3, will there be a way to get the previous content? My boys and I would love to be able to use the Marvel and DC content as well as all of the Disney and Muppets stuff. You will still be able to purchase all of our previous DLC for use in LBP3 on PS3 or PS4. This is amazing news!!! Just wondering, will the materials and costumes from Little Big Planet Karting/Vita be imported into Little Big Planet 3?? Thanks so much, keep up the great work!! Will this be cross buy enabled too for a limited time, like Activision is doing with both Destiny and Call of Duty Advanced Warfare? I plan on getting it either way for the PS 4. But if your offering a 2 for 1 deal or a $5 upgrade fee like Minecraft had, I’d pick the PS3 version first, then upgrade it in order to have it on both platforms. Regardless, thank you so much for making all the past purchased DLC transferable. Amazing news, guys. This pretty much seals the deal for me. Will definitely be getting this game now. Has anyone been able to get the Halloween mask this year, I haven’t seen it in the store. The one holiday item i’m missing too! My biggest concern with LBP on PS3 is what restrictions that’ll apply to PS4. The level builder while awesome always had this low resource cap. Will we see that resource cap raise and levels specifically for the PS4 version? Also it is hard to tell with videos online, but it seems there is at least a higher fidelity in models and materials, but I have to wonder how much further the game could have been pushed. Funny how there are no comments here about PS+ while the European blog is flooded with people asking for explanation. I was just playing the DC Level Pack using the Move and Navigation controller. Apparently, the Hero Cape from the DC pack does not seem to be compatible with the Move controller. Other powerups, such as grapple and grabinator, work just fine by hitting the T button, but the Hero Cape is unresponsive. i.e. You can’t glide. Are we getting the little big planet 3 playststion 3 bundle with 500GB in North America? .. I will be buying getting physical copy for PS4, but I want the rare shirts. Are they ONLY available by pre-ordering the digital version from the PSN store or will they be purchasable separately on release day? Can you guys confirm if we’re getting pre-order plushies in Canada as well? They had absolutely no idea what I was talking about at EB Games. Will LBP3 be cross buy like destiny or call of duty advanced warfare? This sounds really cool! I’m assuming we can go back in on a PS4 and replay the MGS levels and enjoy the improved graphics and all. I have to ask: are you planning to make available the LBP Vita soundtrack on home consoles. I know about the technical limitations of materials and costumes, but it seems the music should be the easiest thing to port, and there are a lot of songs that should be available to more LBP players, especially since they are more electro-focused. Songs like “My Drum Machine”, “1991”, “Antidote”, and probably my favorite piece of interactive music in the entire series, “The Big Ride”. Can you please look into releasing those songs on LBP3? So l have a question, Is every materials and goodies from LBP 1, 2, & Vita DLC Level Packs will all on LBP 3 automatically or do l have to purchase all levels packs that l haven’t purchase then play each DLC Level to earn every materials and goodies? I played DLC in the past and unlocked materials do I need to do that again on PS4? For example I own the Pirates pack. When start up the PS4 version of LB3 will all the materials be available including ones unlocked for Aceing a level? Or will I need to play the DLC again? Do I need a save for any reason from LB1 or LB2? I’m soooo glad they went the extra mile to do such a wonderful favor for we very devoted fans. You have NO idea how much content I need to transfer to my ps4 when it comes out. Luv u LBP team. ? I don’t own any DLC for LBP yet, but will consider now. What about the Vita cross-controller pack? Does that work too? Really appreciate the effort of this btw! cool i have a lot of dlc that i need in lbp 3. and i think you will love my levels no spoilers on what they are but i am a helpful leader in it. 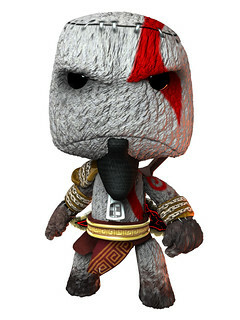 Can you give us some info on Run Sackboy Run? You said October and well, October has come and gone. OMG thank you! I’ve been asking this question ever since LBP3 was revealed! You just guaranteed a sale from me! I’m slightly confused, will the items that you collected in game from the previous two iterations transfer to LBP3 if you get the game on PS4? I understand how that would work with the PS3 version but how will your save data transfer from PS3 to PS4? anything about cross platform play between consoles? Still lame this isn’t coming to Vita. This sounds fantastic. My question is, can we publish a level in LBP2, and then go in and tweak or re-work it in LBP3? Bringing objects in is one thing, but I’m curious about levels that have been started in #2 being finished and enhanced with what #3 has to offer? Nevermind. Tired.. just re-read it. I think I’m reading this now that we can continue with our levels. omg yes! i’m so happy that we’ll get our published levels back in LBP3! i made a really cool music box with the music sequencer in LBP2, and now i can’t access it since i’m on ps4. it would be great to hear it again. i loved translating sheet music into songs with the music sequencer. will there be a music sequencer in LBP3?